We did a special run in this color for a customer, and are offering the ones that are left at a reduced price. 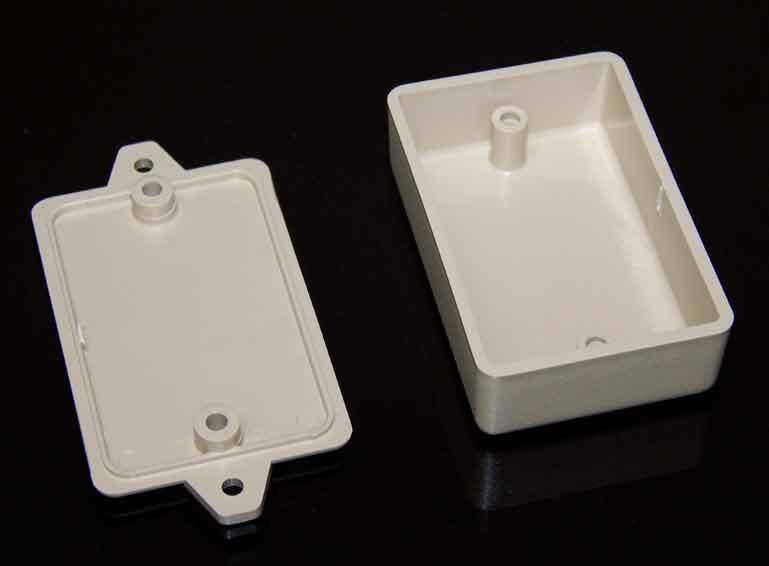 These enclosures are new and come complete with all hardware needed for assembly. We about 248 of these in stock. Color is Sand, also known as Beige. Made from 94HB ABS plastic. Lightly textured to resist scratching and scuffing. Flat bottom with a cupped enclosure top. 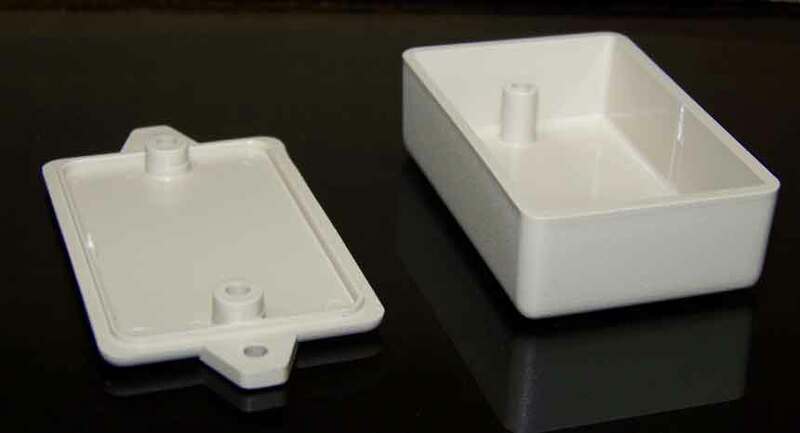 This utility box features a flat bottom cover and molded top cover. It is our smallest enclosure. 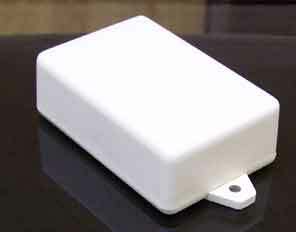 It is available with external wall mounting tabs only. There is space between the two pieces for a circuit board to mount. Lay in your circuit board and put the cover on using the screws provided for a complete enclosure. It has 1.5 cubic inches of internal space for your electronics and wiring. This plastic enclosure is made from high quality ABS plastic and is RoHs Compliant. This file is in a PDF format. This is the drawing for the 075X12 with Mounting Tabs.